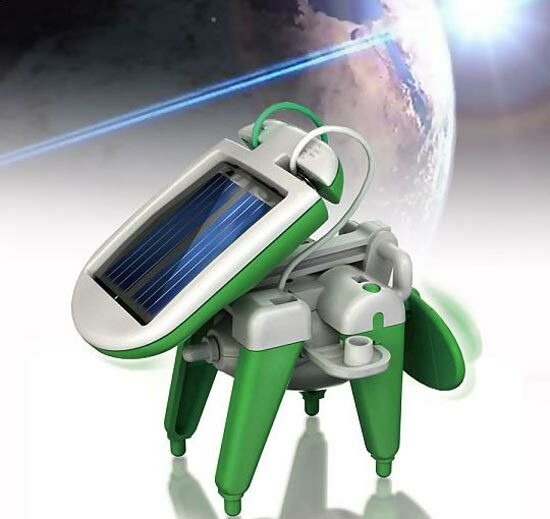 The 6 in 1 Solar Robot Kit is a fun green gadget that lets you build a variety of fun robots that are all powered via solar power. With the kit you can make some fun robots including, a robotic dog, a boat, a car, a plane, a windmill and a desktop plane, the kit comes with a total of 25 individual parts which all clip together. 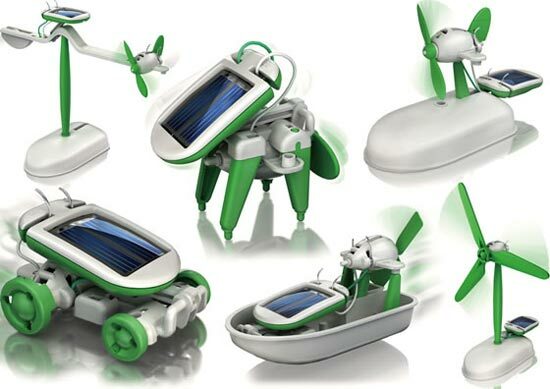 It certainly looks like a fun kit, if you want the 6 in 1 Solar Robot Kit it is available for £13 about $21 from Red5.